Guitar Center's "Your Next Record with Keith Urban"
Guitar Center, the premiere guitar and musical instrument destination, has put together a competition with OurStage that is dedicated to breaking the next big Artist. All country, pop and rock artists are encouraged to submit their best original song in the "Your Next Record with Keith Urban" Competition. Earn a chance to record a 3 song EP with a top-notch producer, including a single featuring Keith Urban. The winning act will also join Urban for an opening slot on one of his tour stops, a $10,000 Guitar Center shopping spree, and more. Artist submissions for the Guitar Center's "Your Next Record with Keith Urban" Competition start on October 1, 2010. Artists can enter until November 30, 2010. Fans can judge starting October 1st until December 15, 2010. Each week, one fan selected at random will receive a $50 Guitar Center gift card for doing their part to find the best artist. In January 2011, Keith Urban and an expert panel of judges will select one winner to receive the grand prize from among the *top 100 ranked entries. Artists must be eighteen 18 years of age or older at the time of entry. Individual artists or a band member must be a legal resident of the 48 contiguous United States. An artist may submit only one unique track into the "Your Next Record with Keith Urban" Music Competition Music Channel. 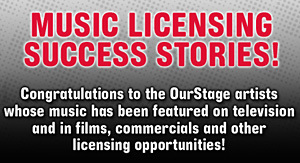 Accepted genres must fall into the Country, Rock, Pop genres as defined by OurStage. *The sponsor reserves the right to review up to the top 250 ranked entries in the event that a suitable winner is not found in the top 100 rankings.